SIX: A Mom's Ultimate Audio-Visual Workout Xperience! Try a full week FREE at SIX! If you live in the Irvine area you don’t want to miss out on working up a sweat at SIX in Irvine. SIX is the ultimate Audio-Visual workout Xperience where fitness is fun, motivating and inspiring. I enjoyed my experience at SIX and loved trying their state-of-the-art strength training gear. The instructor led a great class, gave plenty of high fives, and was very encouraging. A full body workout class typically lasts 55 minutes and includes short intervals throughout SIX different stations. From the moment you arrive, expect to be motivated and inspired by the staff and instructors. Their heart rate-based interval training will fire up your metabolism! SIX is definitely not your typical gym or workout studio. I felt like I was at a concert with upbeat music and impressive stage lighting. Each station has a TV monitor that guides you and helps you see what your next movement should look like. 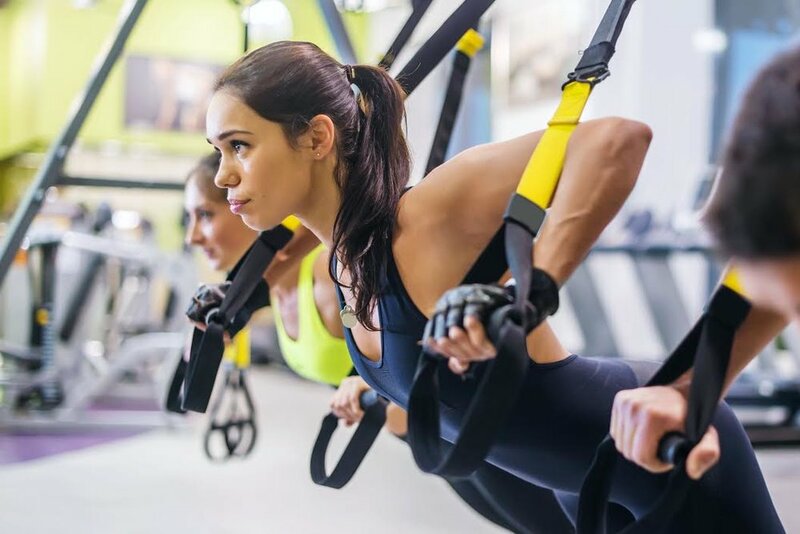 They also have self-powered HIIT cardio equipment such as treadmills, bikes and rowers and have a variety of functional training gear such as kettle bells, battle ropes, and weights. SIX is located next to Whole Foods Market and is near Irvine Spectrum Center. The FREE week offer at SIX is valid through December 31, 2018. Try something new, L.A. Mom. Give it a try!